Like any great company that stands behind their products and service, we offer 100% satisfaction guaranteed. In the unlikely event that you are dissatisfied with the performance of one of your Meatheads or Princesses, please contact our General Manager via email at [email protected] or call us at (866) 843-6328. Be prepared to say what percentage of value you think you received from the underperformer. For example, if a Meathead Mover worked about 80% as hard as the rest of the crew, we will refund you 20% of that individual’s labor costs. Please note, this offer only applies to local moves, not including commercial and long distance moves. Each client also receives the opportunity to publicly share their experiences with Meathead Movers after the move on our Honest Reviews and Ratings page. 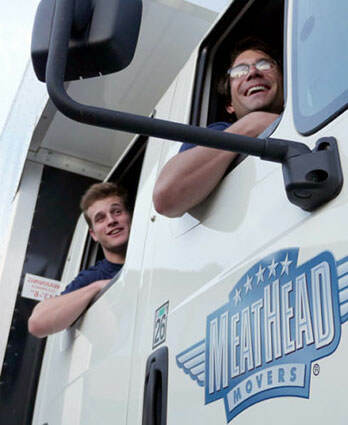 We are deeply committed to the company’s continuous improvement in addition to the complete transparency and accountability for all Meathead employees to provide the highest standards in the moving industry. Our 100% satisfaction guarantee offer puts tremendous pressure on our staff to deliver the best moving service and experience: no gimmicks and no fluff, we stand behind our service 100%.